Teenagers car accident statistics can be shocking. Any parent browsing through them definitely has cause for alarm. Not only are car accidents very common; teenage car accidents are doubly so, and most cases are extreme and lead to fatalities. Knowing just what the teenage car accident situation is will help create awareness about this problem and may lead to more careful teenage drivers. According to the teenagers car accident statistics, more than 5,000 teenagers die each year due to fatal car accidents. This number only takes into account teens between the ages of 16 and 20, which makes up a very small percentage of the total number of drivers in the country. This is quite disturbing, especially since teenagers account for 12% of car crashes that lead to deaths, whereas they only make up 10% of the overall population of the country. Out of these numbers, gender also seems to play a starring role in the teenage car accident statistics. According to the numbers, fatalities are higher for teenage male drivers than for female drivers. Out of 100,000 teenage male drivers, 19.4 dies in fatal car accidents, while only 11.1 dies out of the same number of teenage female drivers. In costs, drivers under 24 were found to be responsible for 30% of the total damages incurred by all car accidents in the country. There are statistics, but then there are odds. According to the odds, drivers aged 16 to 20 face the highest risk of getting involved in car accidents. Other age groups face considerable risk, but this age range is about 4 times more vulnerable. The risk is also higher during the first year that the teenagers turn into legal drivers, perhaps due to the excitement they have over the freedom and independence that being able to drive gives them. Aside from that, some analysts also explain that young drivers are less able to recognize situations that may lead to tragic car accidents than older drivers. In fact, the risk of a car accident faced by young teens is twice as high as the risks faced by drivers more than 35 years old. Through the statistics, analysts also observed that teens tend to tailgate and over-speed a lot. Teenage car accidents are difficult to control and prevent, especially since teens with newfound independence are the hardest to control. Attempts to prevent these accidents often involve driver’s education classes, but according to teenage car accident statistics, these classes do not have any effect on the rate of car accidents linked to teens. Fortunately, some laws that attempt to control alcohol-related car accidents have helped reduce the rising teenagers car accident statistics. One example of these laws is the Graduated Drivers License law, which had an effectiveness rate of 20%. Teenage car accidents may be difficult to control, but there is one effective way of preventing teenage-related accidents even without the law. Awareness, proper discipline, and guidance from parents can help teenage drivers turn into careful and responsible drivers and be protected from fatal crashes. Riding an ATV has become a popular pastime in particular when working or hunting. Too often injuries result from an accident involving an ATV. The vast majority of ATV accidents result in a serious injury to the head or spinal cord, including traumatic brain injury or paralysis. Most all terrain vehicle deaths result from the vehicle overturning or hitting something. Since the introduction of ATVs, more than 6,000 people have lost their lives in accidents involving all terrain vehicles. It is expected that close to a thousand people across the country will die this year on an ATV, with tens of thousands more injured. As these machines get bigger and faster, the injuries sustained by riders and passengers get more severe. The vast majority of ATV accidents are a direct result of poor design on the part of the manufacturer. A prime example involves the introduction of the three-wheeler in the early 1980’s. Despite knowledge of the risks associated with these machines, manufactures continued to produce and sell millions of them. Even though none have been produced since 1987, many are still in use today. More recently, the Yamaha Rhino has come under scrutiny for its propensity to rollover and poor safety design. Call us today to schedule a free consultation. Protect your rights and recovery after an ATV accident. Texas law does not require ATV operators to carry insurance, however many do. If you are involved in an accident with another ATV driver and that individual has an insurance policy, you may be able to recover money for lost wages, medical bills and pain and suffering from his or her insurance carrier – if they were at fault for the collision. In ATV defect cases, the source of financial recovery is from the ATV manufacturer, such as Honda, Yamaha, Polaris, Arctic Cat or Kawasaki. Again, wage loss, medical expenses and damages for pain, suffering and disfigurement may be recovered. In some cases, punitive damages may be awarded. In every ATV accident case, proving both fault and injury can be difficult. Our attorneys are avid ATV riders and represent clients who have suffered a serious injury or lost a loved one as the result of an ATV accident. We are dedicated to protecting the rights of the injured, and their families, and have obtained many favorable settlements. ATV accident cases are accepted on a contingency basis. 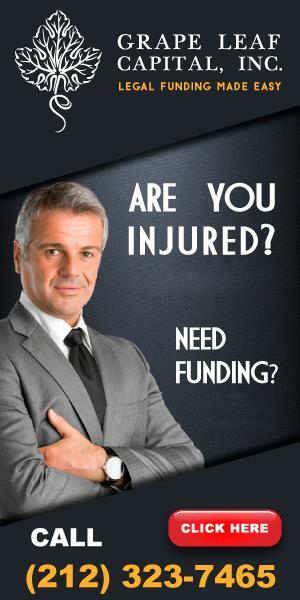 Consequently, you pay no fee unless we make a recovery on your behalf. Have you been injured in an ATV accident? Call and schedule a free consultation with our attorneys to discuss your ATV accident case. We’ll meet at a location convenient for you – whether at your home, work, hospital.